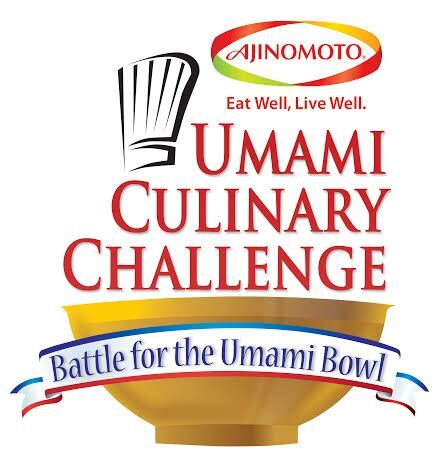 For all aspiring chefs out there, here's the event you have been waiting for. Pang pa-good vibes lang. Sharing this video of our son singing Wish I May by Alden Richards. Please don't mind Daddy A at the background, hehe. 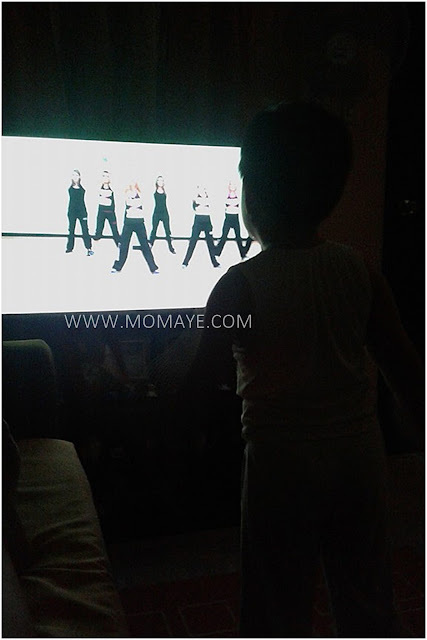 In fairness, memorized na ni bulilit ang kanta. Konting practice pa. Nagpapabili pa nga sya ng tunay na microphone. O Daddy ha, alam na. We need to support our son, our future singer. Haha! Getting fit is one of my goals for this year. It's been my yearly goals and little by little I am getting there. Honestly, Daddy and I are struggling to lose weight. We have tried several kinds of diets already that just resulted to yo-yo effect on us. We will lose weight then gain weight 2 times pa na ng lose namin. Kasi naman we have a stressful work and ang sarap ikain ng stress hindi ba? And as you all know, the Chemist Dad loves to cook. O e paano naman kami papayat nyan, haha! Okay, I should stop justifying our failure to get into shape and our ideal weights. I know I must take this getting fit goal seriously because health is wealth. Agree kayo? Living a healthy lifestyle is the key. Bawas na muna ang pagkain sa fast foods and avoid eating junk foods. Also, Daddy and I eat less rice now. Then we regularly drink green tea and take in more fiber from fruits and vegetables. 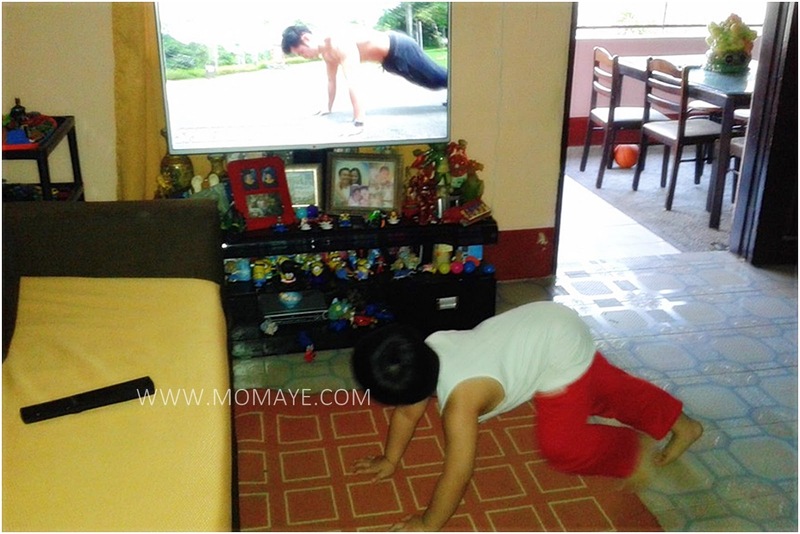 Aside from eating right, I already started with Zumba exercise every morning with Daddy and our little boy. See our little boy? He wakes up very early everyday to join us. We are also doing an abs workout. Look at this boy telling who kept po telling me he wants an abs too, haha! Our little boy is a little overweight now, but is very active naman. Everyone who see him will say he's adorable and cute. However, I am afraid he will grow with an unhealthy lifestyle making it more difficult for him to lose weight once he's grown up na. That's why we decided to include him to our getting fit goal. I am happy that it's not difficult to convince him and he's the one who will remind us with our Zumba exercise. I also want to try Yoga. Naku last year ko pa yan gusto subukan. Naghahanap lang ako ng perfect space sa bahay. Daddy naman is planning to buy fitness gears. Good thing we can find all the fitness gears and must haves at S&R. Eversince, Daddy wishes to have a mini gym at home. So the above Bench DD4 at P8,554.95, Trax Mag Elliptical Bike at P11,959.95, Pyrofoam Hybrid Trainer at P23,799.95, 60in China Longbar with Collar at P879.95, and Power Press Push Up at P929.95 only, are great for a mini gym at home. Also, since Daddy wanted to have muscles and abs, he would probably want to have additional Hamertone Plates 10lbs at P529.95, 20 lbs at P979.95 and 25lbs at P1,269.95 only. 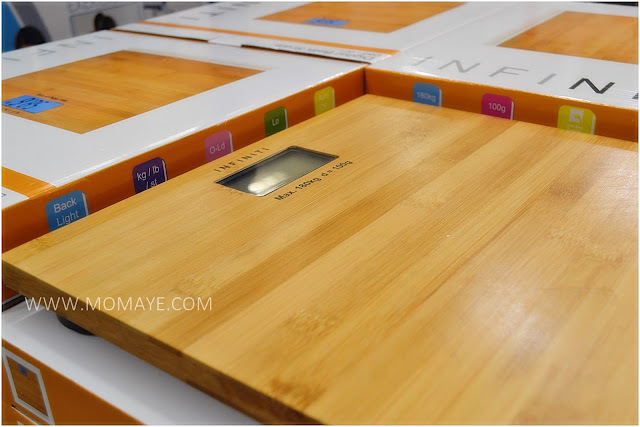 To monitor our weights naman, this Digital Bamboo Scale at P799.95 is a must have too. Syempre it's much better naman if we also have the right sports attire for comfort like this Zumba Sando at P299.95 only. The Zumba sando will be perfect with either this Active Essentials Yoga & Run Shorts at P599.95 or this Active Essentials Gym & Go Capri Pants at P899.95. 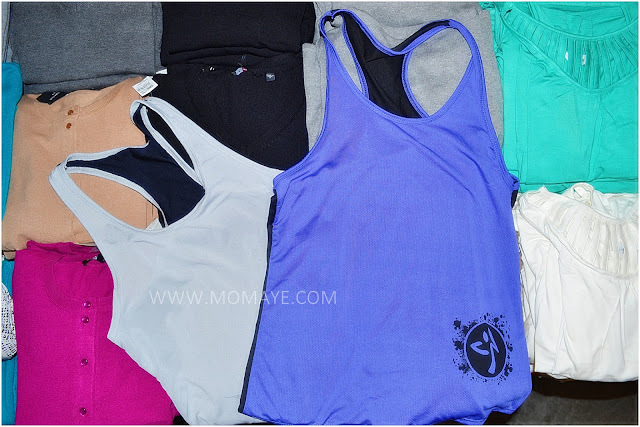 Pwede din this Active Essentials Gym & Go Dri-Fit Vneck Tea at P599.95 only. 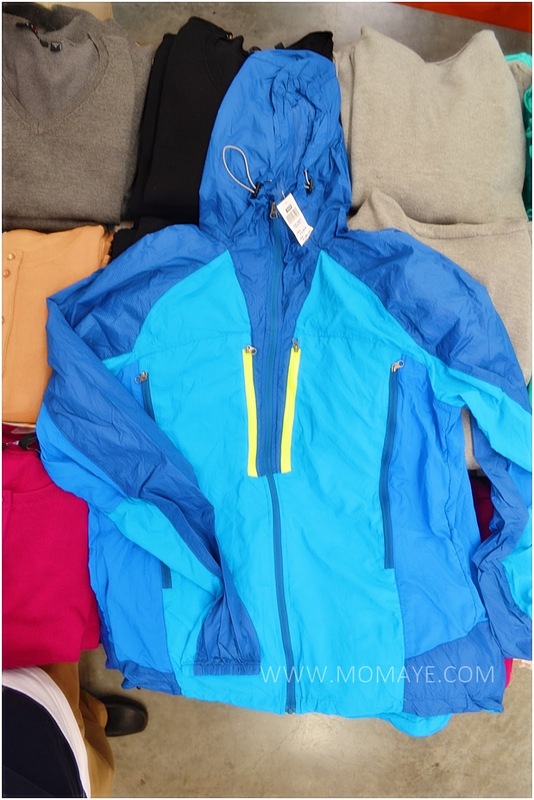 If you are into running naman in the morning, you should get this Active Essentials Running Jacket at P1,499.95 only. 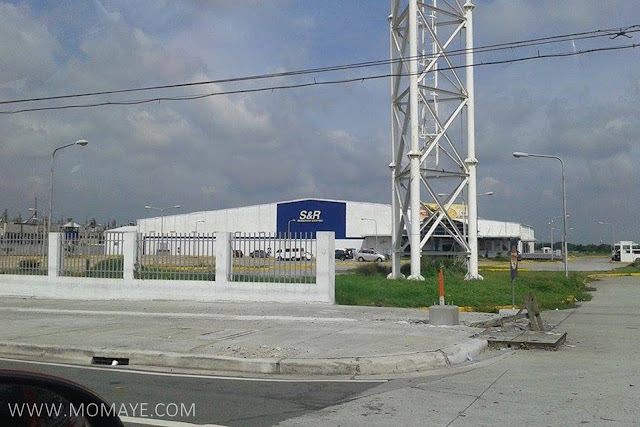 In fairness, sports wear are very affordable at S&R di ba? But wait there's more. 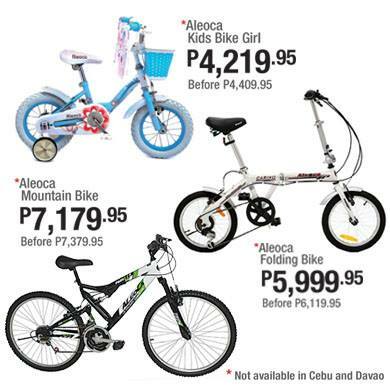 You can also find affordable bikes at S&R. 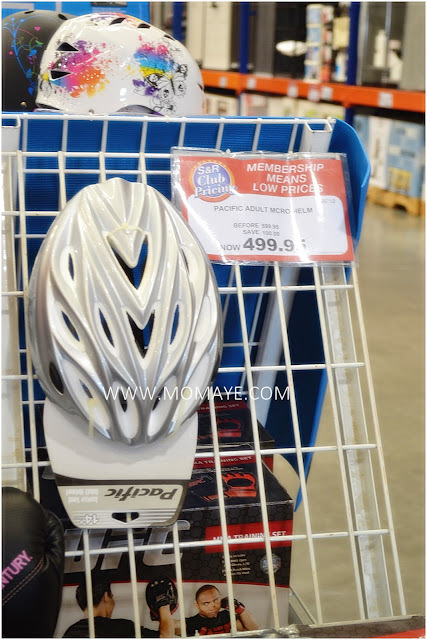 For safety, this Pacific Adult Helmet at P499.95 is a must have too. For those who loves basketball naman. 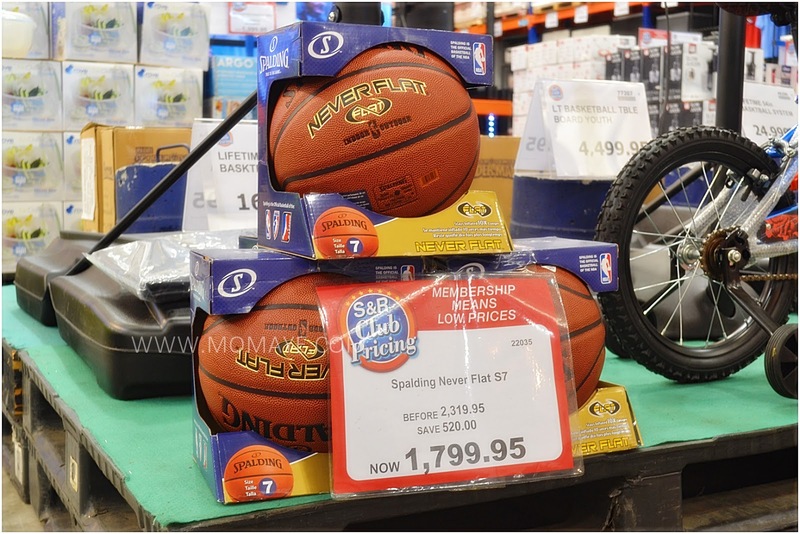 This Spalding Never Flat is sale at P1799.95 only. 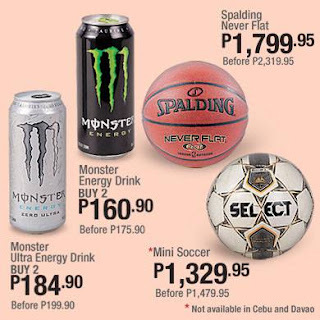 There's also this Mini Soccer ball at P1,329.95 only. 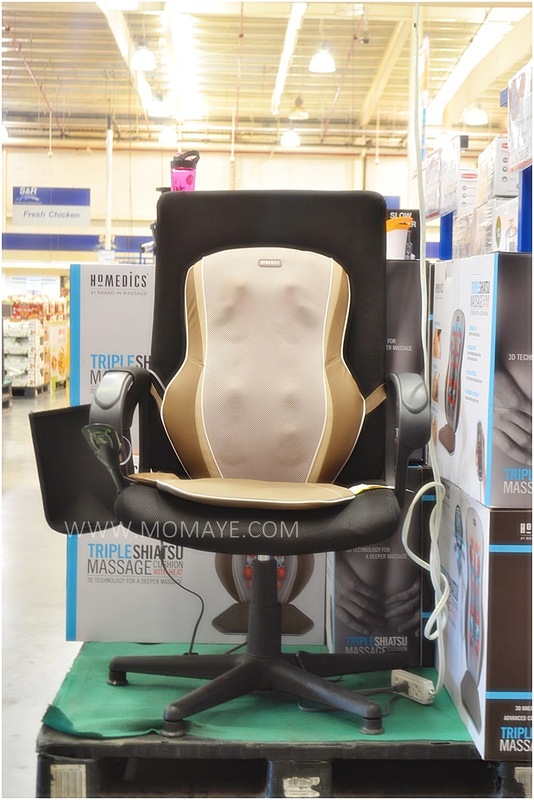 Finally after a day of long work, it's nice to have this Homedics Shiatsu Massage Cushion at P9,799.95 only. 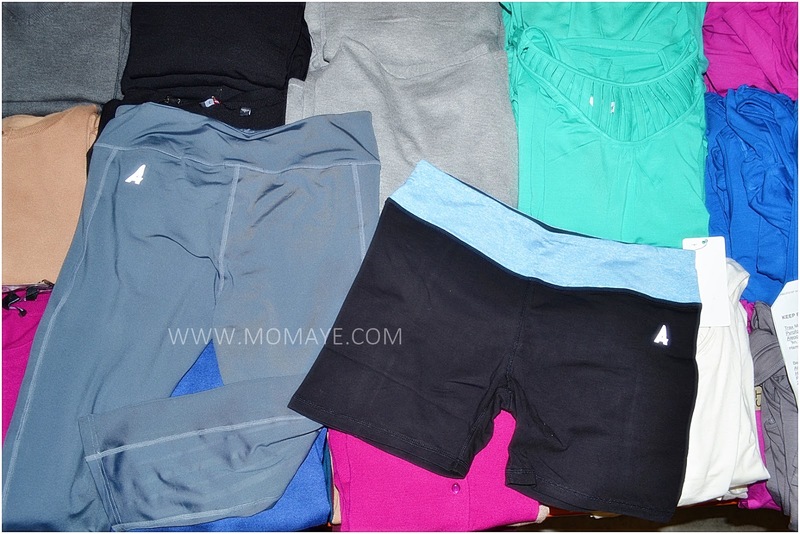 Ayan ha, complete na ang ating fitness gears and must have to get fit for us to start the year right. 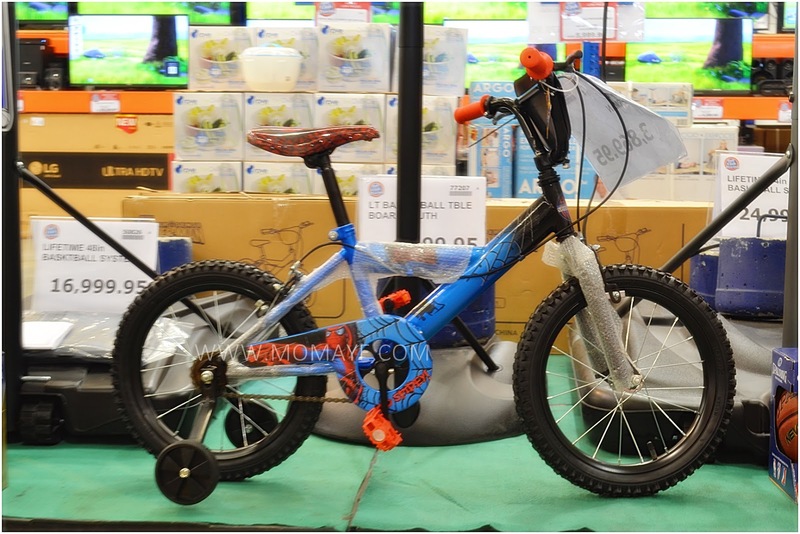 Of course, we can only find these at affordable price only at #loveSnR. If you notice, I don't post any OOTD here. Besides having a daily uniform, my usual attire is just shirt+jeans+flat shoes. Also, I only shop for clothes when I needed it or when my old clothes won't fit me anymore. In short, I am not a fashionista. As I already mentioned, I always prefer the most comfortable attire, that is shirt+jeans, like this short sleeve gray baseball tee paired with jeans. Or when I need to be a little more than shirt+jeans, I go for attire like this - a blouse paired with a faux leather leggings. But just like any other woman, I sometimes want to dress up like this - a vintage black and pink floral design and quarter sleeves dress. I just wish I am skinnier, haha! Anyway, I can still wear a dress like this even I am not skinny. 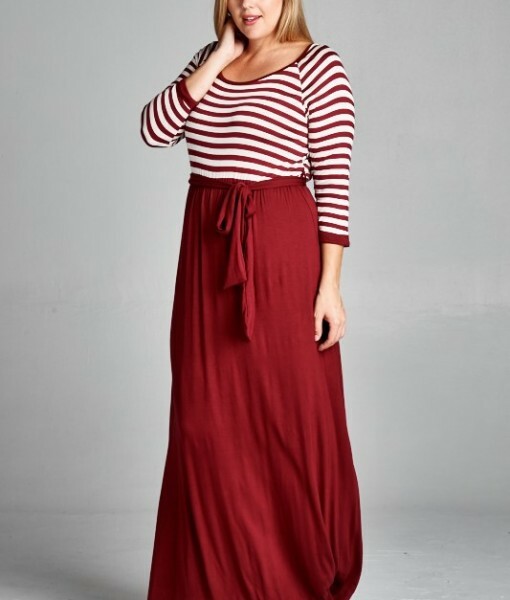 I love this burgundy and white stripes, maxi length and long sleeves dress that is perfect for cold weather. For hot weather like this coming summer, this black and white stripe, maxi length and sleeveless dress is great. 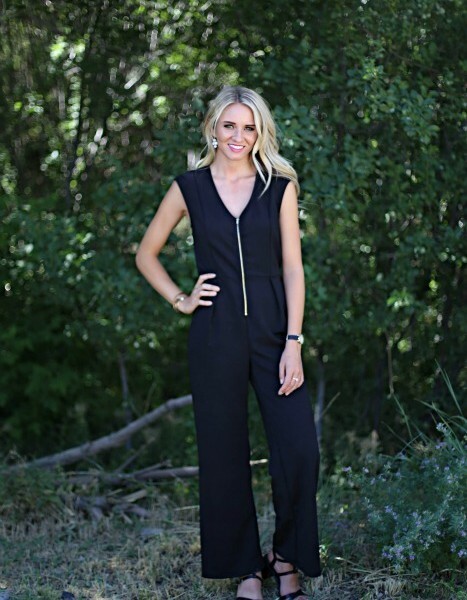 I would also include this textured black jumpsuit in my shopping wishlist. I am lucky to be given an opportunity to attend seminars here and abroad. So this is a great addition to my closet. Oh wait, if I always like wearing shirts and jeans, I also love to wear cardigans especially during cold weather. By the way, I took this regional fashion quiz to know where my style came from. I got a result of Southern Charm, which is colorful, refined and poised classy look. What a result, haha! Even if I am not one fashionista, I can say I still have an eye for fashion. Actually, I am busy and sometimes lazy to check the latest fashion and dress up. Given a chance, of course, I would definitely would want to my fashion and style. Just a piece of advice, always remember to choose clothes that will not only fit and look good on you, but would also suit the weather, place and occasion. 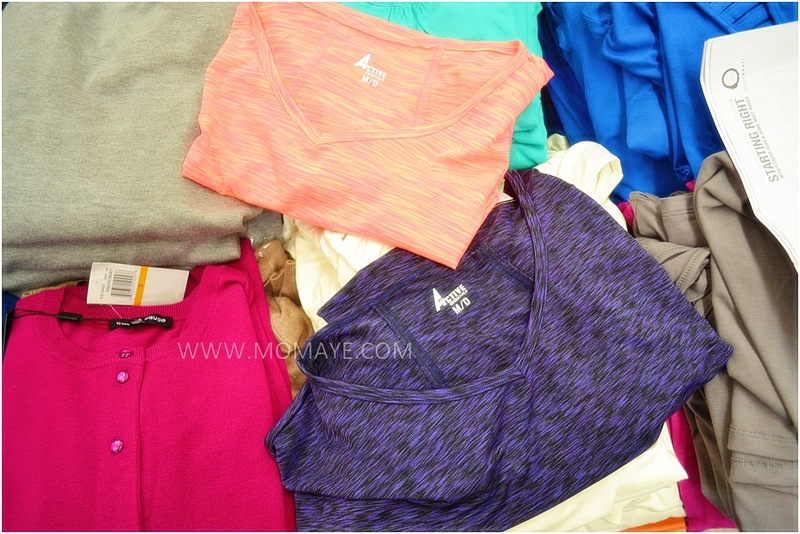 And always keep in mind to choose clothes that will make you feel comfortable. Lately I am experiencing pimples breakout especially before my period comes. It must be due to hormonal change and/or because of stress and sleep deprivation. Look how unpleasant it can be. Acne or pimples is a common skin problem affecting people of all ages. Anyone can suffer from this but acne or pimples is most common among teenagers because of the increased level of hormones in their bodies. Apart from hormonal changes, sleep deprivation, too much stress and unhealthy diet can also cause acne or pimple breakouts. Aside from it's not pleasant to look at, it can sometimes be painful because of swelling due to bacterial infection. Whenever I have breakouts, I always opt to use my tried and tested natural home remedies for acne and pimples. 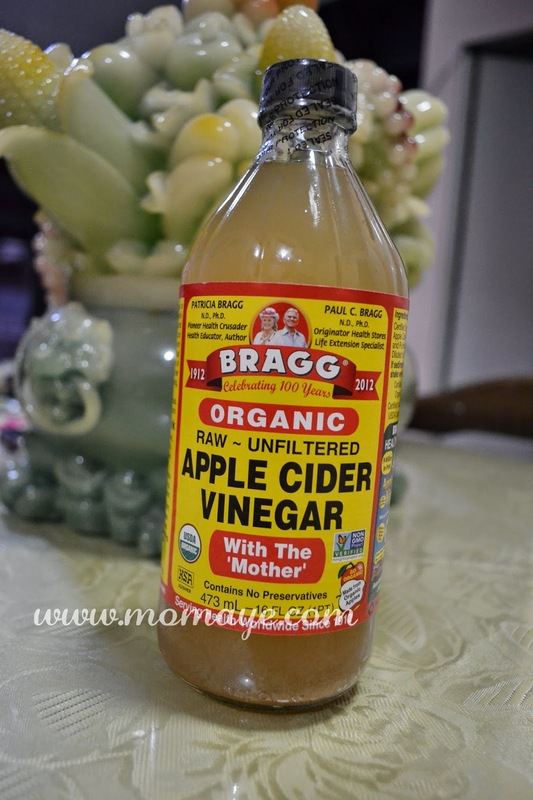 Apple cider vinegar toner is always my first aid when I am having pimple breakout. The antibacterial properties of apple cider cider help keep acne under control. The malic and lactic acids found in apple cider vinegar soften and exfoliate skin thereby reducing the red spots and balance the pH of skin. You can start with the 1:2 (ACV:water) ratio concentration. Use a cotton ball and apply just like a toner after washing your face. Don't forget to moisturize your face after. 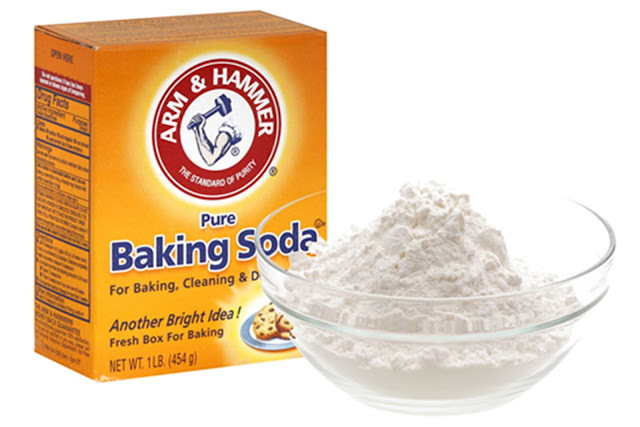 Baking soda is one of natural remedies we always have at home. Baking soda, or sodium bicarbonate, has a mild antiseptic properties and also has ability to fight fungus and bacteria. 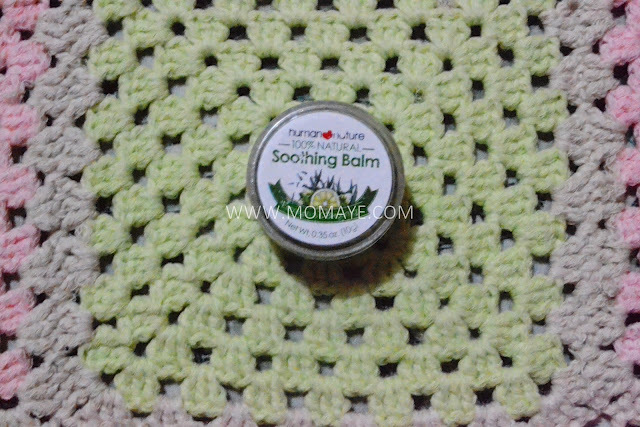 It works as gentle exfoliant for skin, unplugging pores and removing dead akin. Thus, making the skin soft and beautiful. You can use the baking soda as scrub or mask. As scrub, just add water to baking soda to make a paste mixture. Massage the paste on your face. After 5 minutes, rinse thoroughly with warm water, pat dry and moisturize. As mask, just add water to baking soda to make a paste mixture. Massage this mixture on your face in a slow circular motion and let it dry for 15-20 minutes. Rinse thoroughly with warm water, pat try and moisturize. Brown sugar is a gentle exfoliant too. It helps remove excess skin cells that clogs pores. 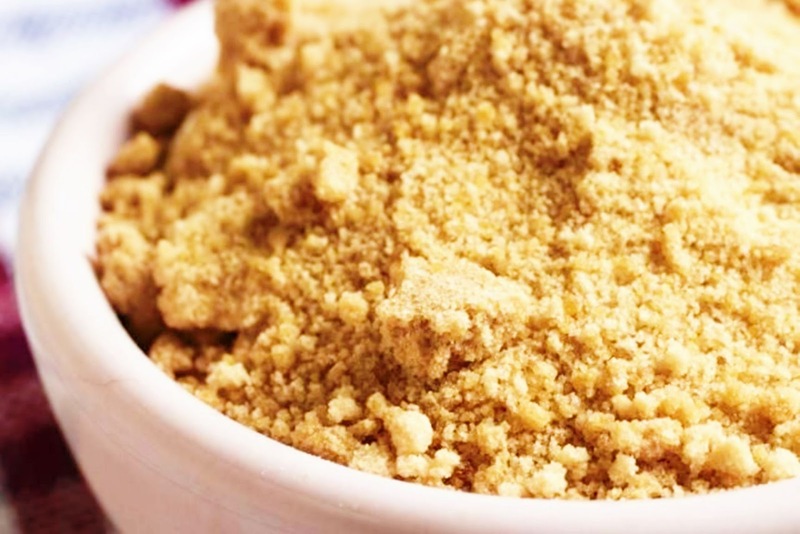 Unlike other exfoliants, brown sugar does not dries skin because it is a natural moisturizer. You can use mix equal parts of brown sugar with honey or olive oil to make an instant scrub. Or just mix brown sugar with plain water to create a paste mixture for ready to use facial scrub. I usually use brown sugar scrub with calamansi or lemon juice. Apply the mixture on your face and gentle massage on the face. Leave for few minutes then rinse off with water. Cinnamon and honey make a killer combination for acne and pimples. It's because cinnamon has antimicrobial properties that help stop bacteria from growing. While honey is a natural anti-biotic and anti-inflammatory too. You can use mix 2 tbs of honey with 1 tsp of cinnamon to create a paste. Apply this paste on your face or just spot treat on the affected areas. Leave for 10-15 minutes and rinse off thoroughly. Pat and dry. Olive oil has many therapeutic properties. 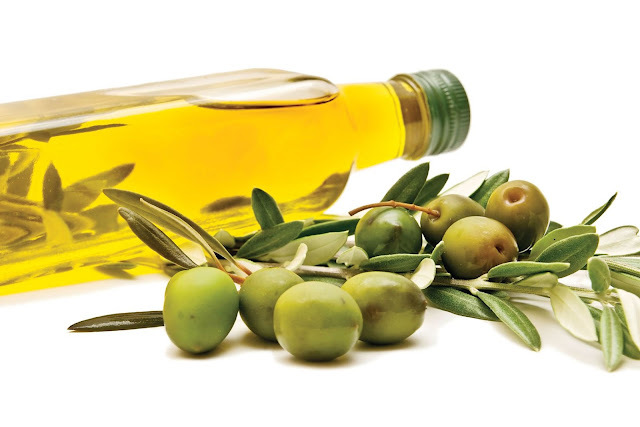 Olive oil has anti-bacterial properties that hinders the growth of acne bacteria. It also has anti-inflammatory properties that helps reduce the redness of the skin and also the pain from the swelling. Moreover, olive oil is a fantastic anti-oxidant so it helps to get rid of hard spots and blemishes after the acne affliction. You can use mix olive with brown sugar or baking soda to make a scrub. But I simply use it like a moisturizer on face or as treatment using a cotton ball then directly apply on the affected areas. After applying overnight, you can see a quick result the next day especially with swollen pimples. It can quickly reduce swelling and pain. 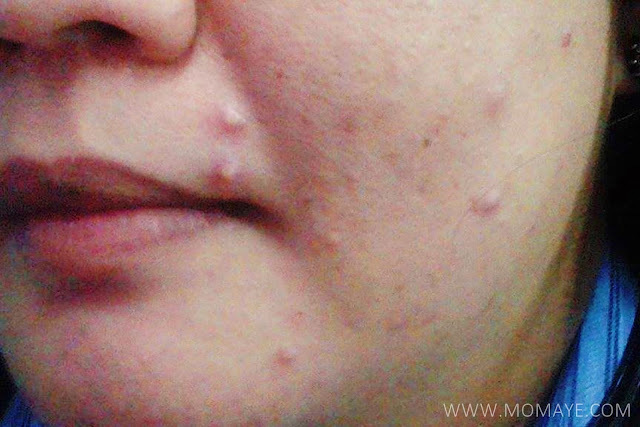 Those are 5 of the natural home remedies fro acne and pimples that I have tried and tested. 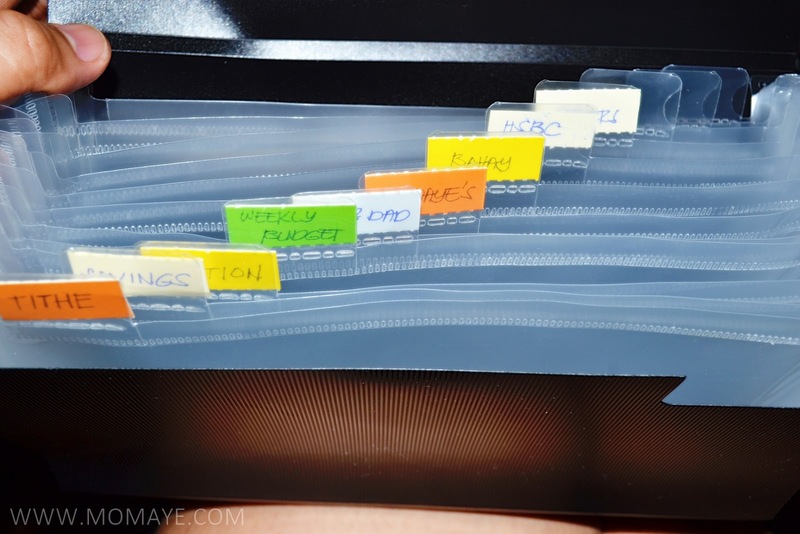 Natural remedies are safer and cheaper to use that using chemical treatments. Now, it's very important to know what is/are the cause/s of you acne or pimple breakouts. It could be because of hormonal change or because of lack of sleep, high stress level or unhealthy eating habit. The root cause should be addressed because acne will just recur over and over until the main cause is addressed. Also, make sure to have a regular skin care routine, and add the natural remedies. And be patient in waiting for the treatment effect. I am not feeling well today. 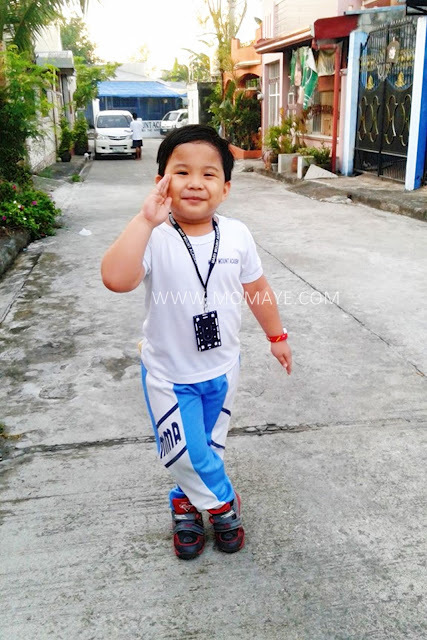 But when I look at this photo of our #pabebe boy, I feel better. Truly, our children are our source of joy and strength. Just a simple smile can make everything better, a lot better actually. As a mom, I always prefer products that are made from natural ingredients. 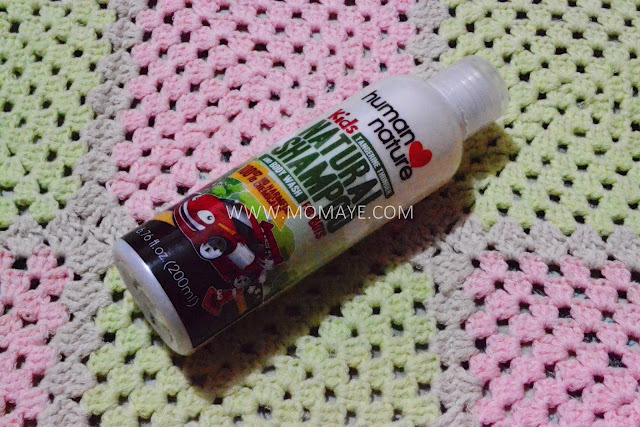 Nakakabawas pangamba when you know that your family is using products that are safe and have no harmful chemicals. So when we got a chance to be a Human Heart Nature dealer, ay super happy ako. From then on, we are using Human Heart Nature products and these are our favorites! Let me start with this Bug Shield DEET-Free Lotion. Our son uses this everyday. You know naman dengue mosquitoes are everywhere kaya it's better na protected ang ating mga chikiting and even us. It's main ingredient is citronella, which is an insect repellent, and it has no DEET so safe for kids. It's lighter and non-sticky with sunflower oil and eucalyptus oil pa for added protection and better smell. 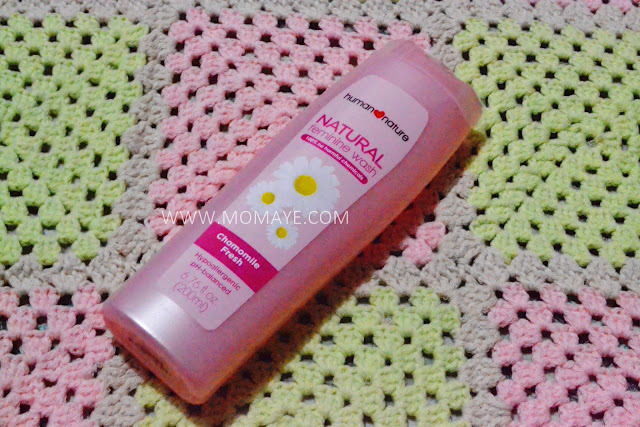 Next naman this Kids Natural Shampoo and Body Wash. This shampoo has been our son's favorite. Because of this, my son's hair is soft and shiny. And what I really like about this shampoo is my son's hair doesn't smell maasim kahit he plays outside under the son. This Salon Care Shampoo naman is for me. 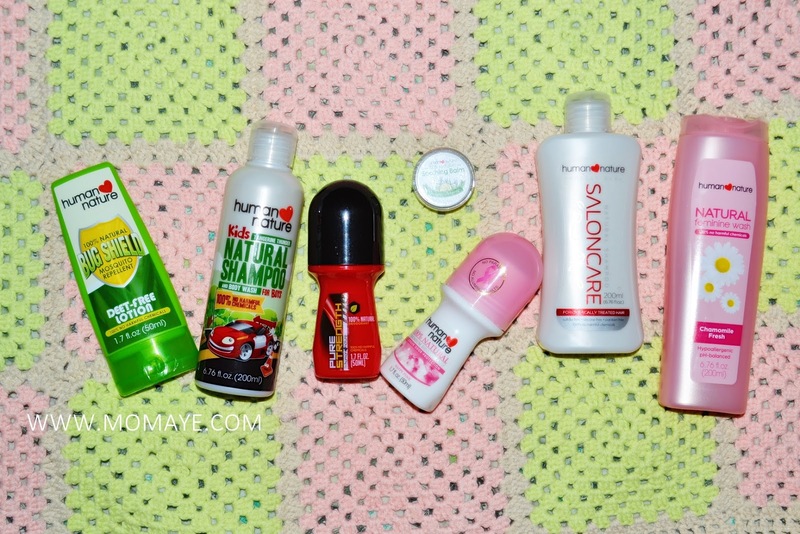 This is best for those whose hair undergone salon treatment like hair color and straightening. 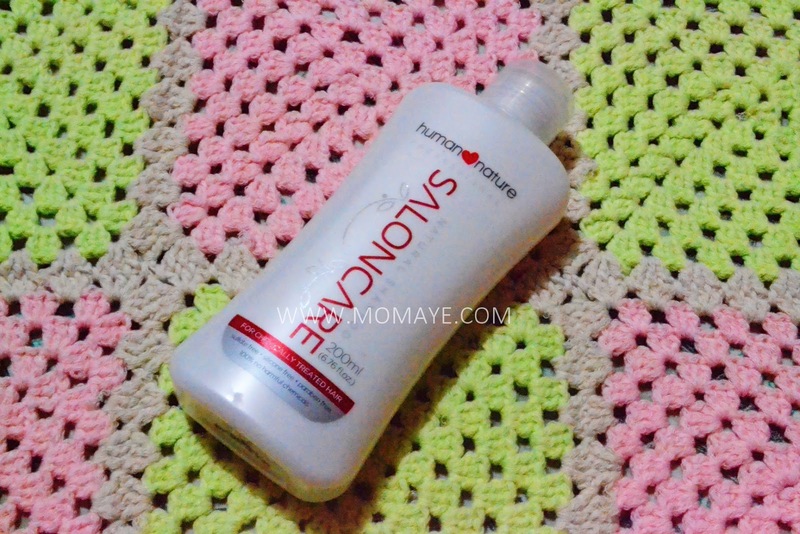 It's sulfate-free so it will keep your hair color vibrant, strengthen it against heat and makes it more elastic. Salon Care Shampo has avocado oil, sunflower oil, and sugar beet extract that makes hair soft and shiny. 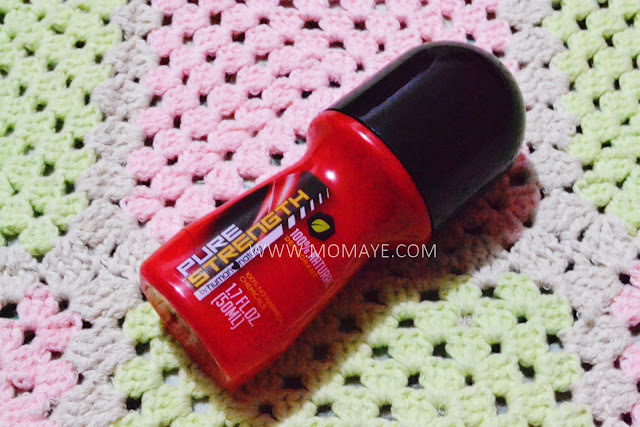 Pansin ko nga, my hair is less wavy since I started using this. Another product I am using is this Natural Feminine Wash.
Natural Feminine Wash has balanced pH with soothing aloe vera and cleansing agents from rice. It has natural preservatives from rice and anise so it feels fresher and cleaner down there. Daddy and I are using their Premium Deodorant Roll-ons too. These deo roll-ons can provide better odor-masking and longer deo protection. And since it has no aluminum salts, hindi nakakaitim ng underams. Lastly, this Soothing Balm is the new addition to the Human Heart Nature products that we love. 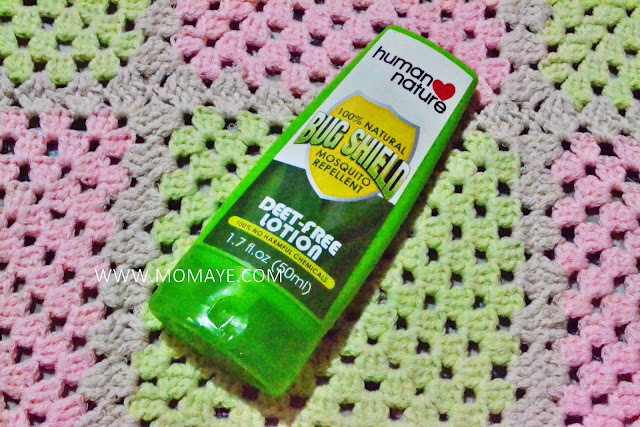 This is very useful especially on varying weather condition that is the season of colds. My son loves this whenever he has stuffy nose. Daddy and I use this naman when we have headache. It's very soothing and since it's 100% non toxic, super safe sya even on younger kids. 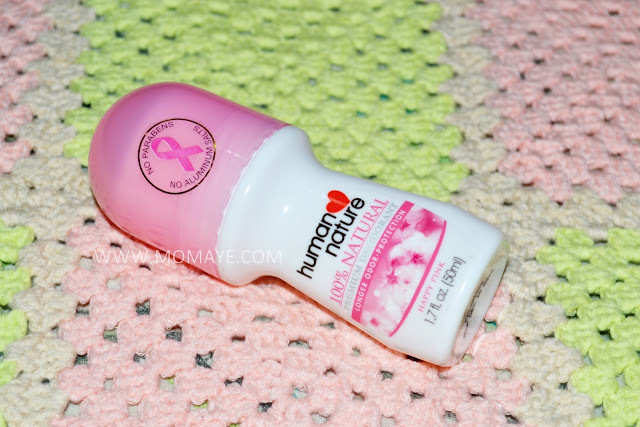 Those are just few of the Human Heart Nature products that you can try. They have soaps, body wash, lotion and now, they have toothpaste na. I have yet to try that one, maybe on our next purchase/ If you are interested to buy just send us a personal message at Momaye's Shoppe. Every morning my husband and I wake up early. We cook our breakfast and lunch, eat our breakfast then take a bath and prepare to go to work after. That's always our morning scenario every day when there's work. Kelangan mabilis kumilos, kelangan planado na lahat ng lulutuin. Lucky that my husband is good at the kitchen. Masipag pa sa akin at madalas nauuna pang bumangon sa akin. I always wish sana sa bahay na lang ako so we don't need to rush in the morning. Especially now, my son say what he feels already. 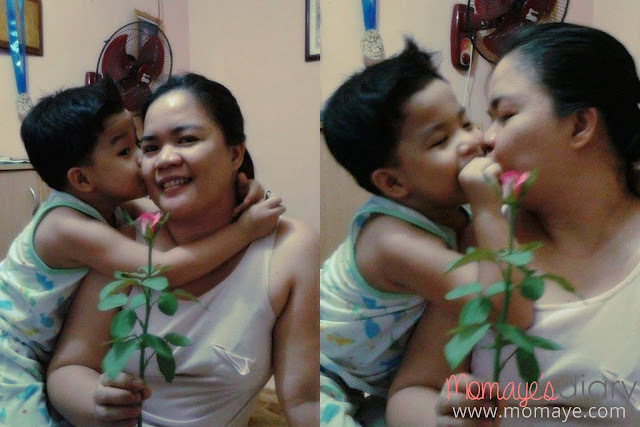 This morning nga, while I am dressing him up for school, he innocently said, "ang sarap po pag may magulang na nagbibihis sa akin." Grabe tagos sa dibdib! 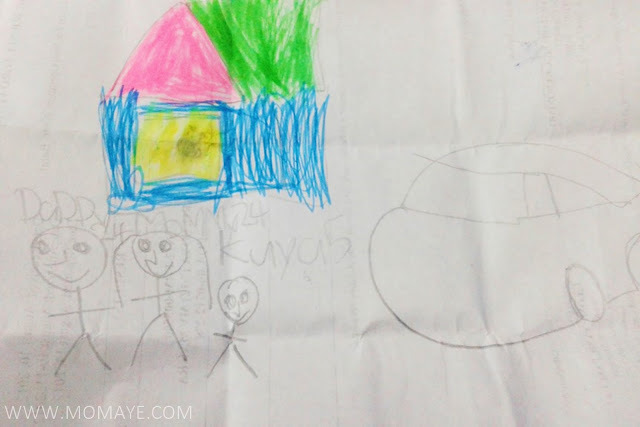 Last week lang he asked me when will my work end so he will a mother to fetch him from school. 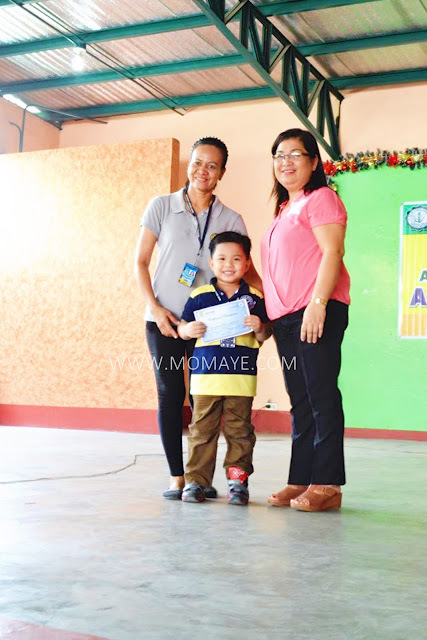 Even how independent he is, I know he's sometimes envious at his classmates who have their moms always around. If only he hears how I pray hard for this every night. How I always feel guilty whenever we have failed promises, whenever I can't be with him and whenever I can't give him enough time. Sobrang naguumapaw na yun guilt sa puso ko lalo na kapag nagsasabi sya ng nararamdaman nya. I feel like I am not a good mom and I worry if I am raising my son right. But in this time when I am doubting my self as a mom, these came to our surprise. Our little boy secretly put that inside my wallet and these two letters we found inside our bags. I am not alone in this and I know many working moms can relate. Sometimes, we just need such reminder to our selves as moms. 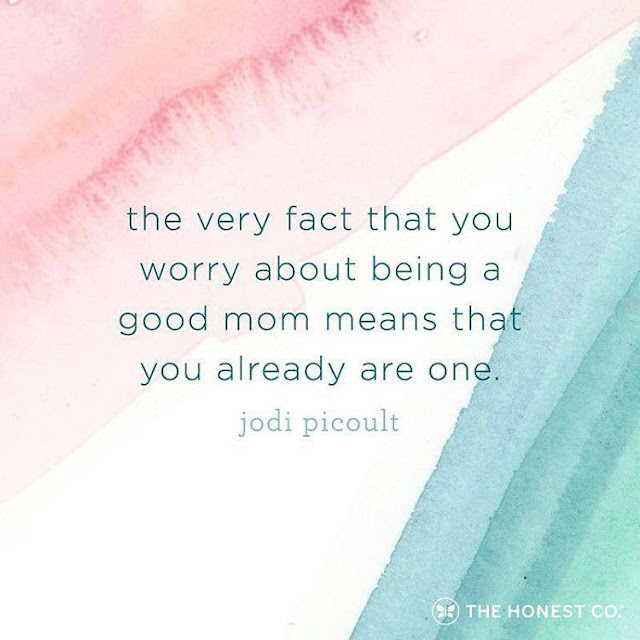 Because worrying about being a good mom means we are already one. Most of all our kids believe we are not just a good mom but the best mom! 2015 has been a very challenging for us. It was a tough year, financially, physically and emotionally, for us a family. But 2015 was a year when God showed me how blessed I am. God also made me realized and learned lessons the hardest way. But it's all worth because that made me a better me, a much better me. Now let me share with you my realizations from the year that was. A mother has the power to bring peace inside the family. This year, our family's relationship has been put into a test. The conflict between me and my brother started in 2014 after he had dragged us to his financial problem. But we are very lucky because we still have our mother. She has the power to bring peace between us. I realized that no matter what, family will always be a family. Thanks to our mother. Money is the easiest problem. Maybe some of you will disagree but based on what we have gone through this year, it's the financial problem that was the easiest. Easiest because money can be replaced especially when you are hardworking. Money can easily be earned unlike when you have problem with health or relationships. Never give up on people you love. When my brother and I had a conflict because of financial issues, I almost give up on him. But because of my mother and because I love him, I stood my him. Thank God that before the 2015 ends almost all of his financial obligations are settled. I just can't imagine where he is now if I left him instead. I am praying that he also learned his lessons and change for the better. Being a mother is the toughest job ever but the most rewarding one. It's been almost 6 years since I became a mom. But I am still learning everyday (check out the 11 most important lessons I have learned as a mom) and that everyday, I am experiencing that thing we call mommy guilt. Just this holiday, my son asked me when will my job end. I asked him why, then replied so I can just stay at home na lang daw. I asked him why he wanted me to stay at home, he replied with "para po may mommy ako maghahatid at susundo sa akin sa school." He added innocently, "kasi niloloko ako ng mga classmates ko, wala daw ako mommy at daddy." Such conversation with my son always break my heart. All I can do for now is hug him and tell him it will happen in God's time. I am thankful that I have a very understanding and independent son. Whether you are a working or stay at home mom, I know you will agree that being a mom is the toughest job. At habang lumalaki ang mga anak natin, lalo nagiging mahirap ang ating trabaho. But I realized it's the most rewarding job, especially if you have a family who appreciates everything you are doing. We can always make up with your kids, but we cannot bring back the time. Like what I have said, I am thankful to have a very understanding son. 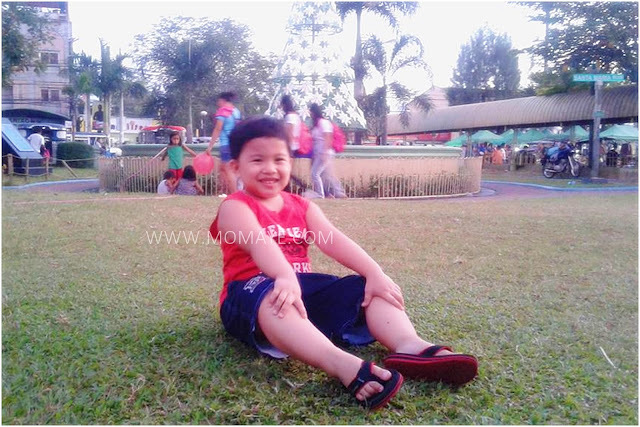 When we failed to fulfill our promise to accompany him to his first pajama party, we made bawi by spending quality time with him at the park. He was so happy na kahit papaano nabawasan yun guilt na nararamdaman ko. Actually, we can always make up with our kids naman. But I realized no matter how many toys and suhol I will give my son, I can't bring back the lost time. So I always do my best to spend time with him because I know he's growing fast and soon will not need me the same way he needed me now. Supporting and loving my son unconditionally. I know my son is makulit but I don't know why there's a slight prickling in my heart every time I hear that word to describe him. Every time he will bring home a sad or mad face from school, I can not help but ask myself if I am failing in raising a good child. Thinking I can guide him more, I even told Daddy that maybe I should stay at home. Daddy said we should give him time because he's just 5. 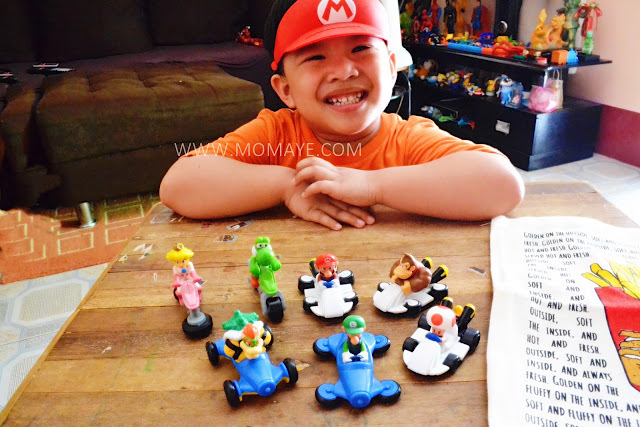 I realized that my son is my son and I don't need to change him. He will grow to be the best man he will be as long as we are here to support and love him unconditionally. Also, I should not worry and stress myself because our little boy even if they call makulit is a very bright kid. Just recently, he was chosen to represent his school and placed 9th on his his first spelling bee contest. I can't remember achieving such when I was his age, hehe. Surprisingly, even we were challenged financially, we have more savings in 2015. 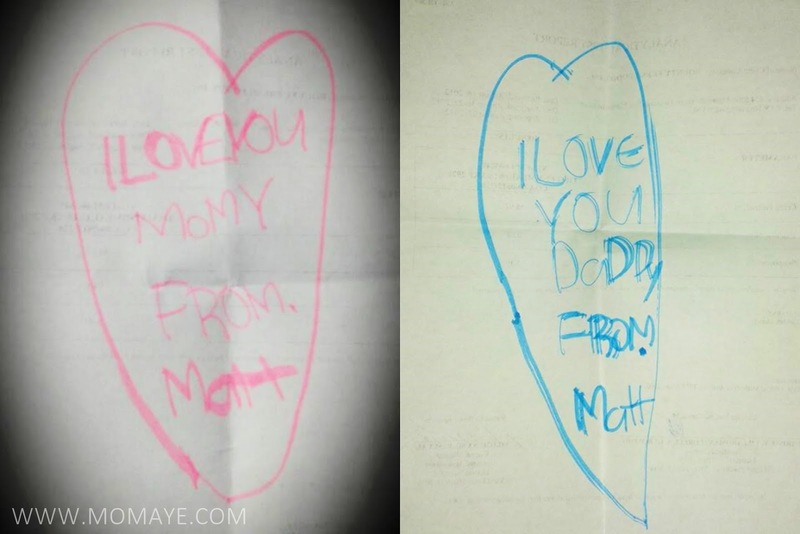 We have finished 4 52-week money challenge for Daddy and I, for Matt, for my Nanay and for my in-laws, Now naman we are saving money through envelope system. Saving is one of my goals for 2015 and it feels great that I have actually reached it even if we have financial issues. Quality blogging is one of my goals in 2015. I promised to be just myself and forget about if I can't write well. Mahalaga naiintindihan ang gusto kong sabihin. Thankfully, 2015 brought us unexpected blessings from our blogs. Brands are starting to contact us and we received more quality and high-paying blog opportunities last year. 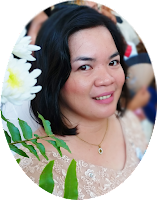 Nakakataba ng puso lalo na kapag nalalaman kong may naglalaan ng oras na magbasa ng blog ko. 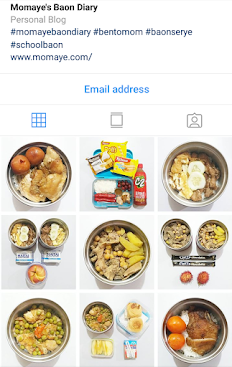 Yun yung nakaka-inspire. From the bottom of my heart, thank you my dear readers. Mahal ko kayo! (with #pabebewave). And to the brands who have trusted us, thank you, thank you po! Hope to still work with you in 2016. Over all, I realized that the highlights of my 2015 are not about material things. Rather, the highlights are the lessons I have learned from all the happenings in 2015. And the best thing I learned is to trust God because when everything fails, He will be there and will never fail us. I am praying for a peaceful and bountiful 2016 in God's name. Wish you all the same and God bless! Happy New Year everyone! How do you celebrate New Year? We had a simple celebration with our family at home. We had barbeque, salad, lasagna and sweets like bibingka and cake, and lots of round fruits and chocolates. It has been our tradition kasi na maghanda ng sweets like chocolates and cakes. Good thing Daddy knows how to bake na. But even if before we really bought cakes from our favorite bakeshop, Red Ribbon! Welcoming the new year is one tradition that is observed all over the world. It is an occasion usually marked by festivities and warm, loving family get-togethers that not only remind everyone of the promises of the coming year but more importantly, bring people closer. 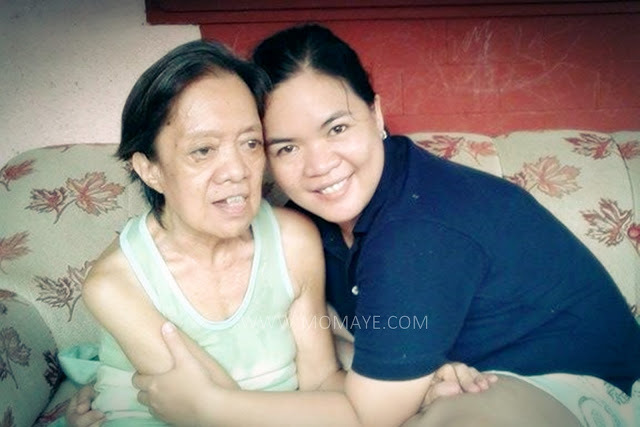 It is a time when social and familial bonds are renewed as a new year is ushered in. It is a time when we all look towards the future as we prepare lists of resolutions with the intent of being better people. It is also a time when we welcome change for the better and prepare for what is in store. 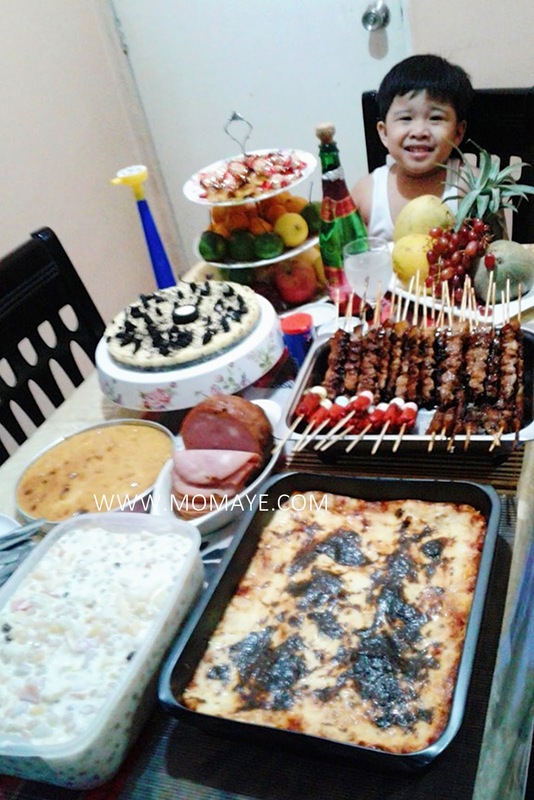 In the Philippines, new year feasts are as anticipated as the Christmas noche buena. 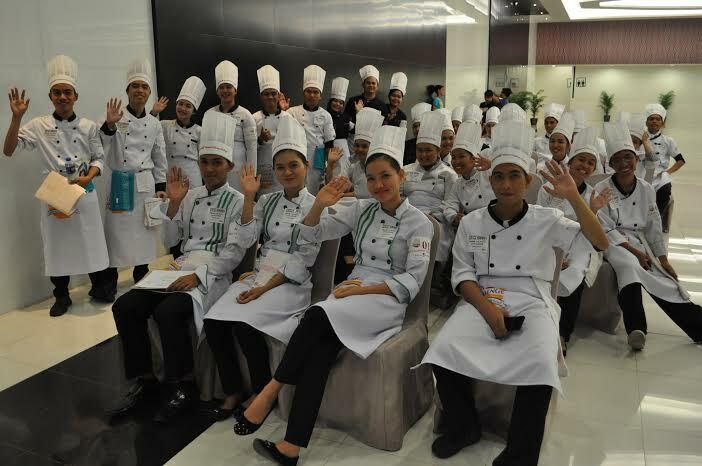 In most homes, it is a time when the most sumptuous meals are prepared and shared among family and friends. 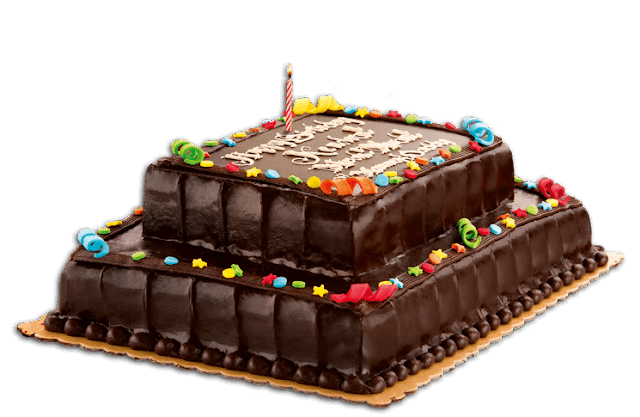 And as always, the feasting will never be complete if not capped with an obligatory cake or sweet ending - indeed, the perfect punctuation point to any festivity. 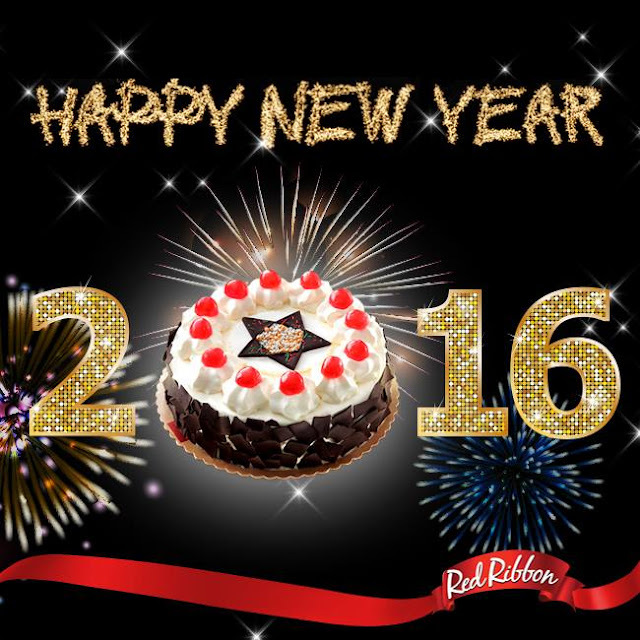 Red Ribbon offers a wide range of goodies to choose from for any occasion - Black Forest cake, Triple Chocolate Roll, Dedication cakes, Butter Mamon, just to name a few - these sweet delights will surely make any new year feast so much more enjoyable, memorable and fun. Dedication cake is always our favorite because it is budget-friendly! Whether you fancy round cakes, rolls, square cakes, breads or pastries, every item is made with the best of everything because every family is worth it. But more importantly, opening a box or a pack of Red Ribbon immediately makes the new year celebration something to remember all year round. “Our many products have long become a staple of not just New Year’s celebration but of any gathering whether simple or grand. This is because we believe that any opportunity for family and friends to come together should be memorable and marking the occasion with a Red Ribbon will do just that.” Rivera added. So, welcome the new year as only your family deserves because new year will always be a special time for Filipinos. For more information about Red Ribbon’s many sweet delights, visit www.redribbonbakeshop.com.ph. Happy 2016 From Our Family!